Metropop’! is a recently founded association of social workers, researchers, artists and volunteers interested in the question of the representation of Banlieue cities and their relation to the respective Centers. Through local projects in Banlieue neighbourhoods the association seeks to document the sociocultural history and cultural heritage of banlieue communities. Social memory projects involve young adult volunteers from banlieue contexts and aim to promote education and participation. Another objective is the interdisciplinary work on urban identities including international perspectives. The association currently initiates projects including an interactive website on banlieue heritage, video workshops, conferences and exibitions. These activities are involving volunteers from banlieue contexts aiming to promote their social and economic inclusion through professional training in the civil society sector. Metropop will coordinate the elaboration of the glossary and will incorporate comparative aspects on social memory in the urban space in its current work on a homepage on Banlieue memory. Marie-Eve Humery, General Secretary of the organisation. Grew up in Paris, worked in Africa and french suburbs and now lives in the Val de Marne (Paris suburb). Sociologist and anthropologist, the thread has been writing and Africa, especially in African languages. After passing through the Africanist book sector, she worked on publishing related to the continent after a postgraduate degree in information and communication, specialised in publishing (Paris 5). She then picked up a double degree in African Studies and African History (Paris 1) followed by a PhD in Social Sciences (EHESS-ENS) on a movement of cultural nationalism in Senegal and Mauritania. Besides these studies, she has been a consultant, project manager or evaluator on educational issues or training related to Sub-Saharan populations or disadvantaged youth, in France and Africa (for ministries, development agencies, municipalities). She has also taught sociology at universities or with social workers, with a strong focus on the sources, methods and an introduction to the field survey. Distinguishing features: endorsed the Paris-cosmopolitan suburb of the 1980s (the birth of “urban culture” hip-hop, graffiti, alternative movements). Personal experience of interculturality. Born in Belgium in 1956, Chantal Deltenre is director of the French association Ethnologues en Herbe. She is expert for different international institutions in the field of cultural diversity and also writer. 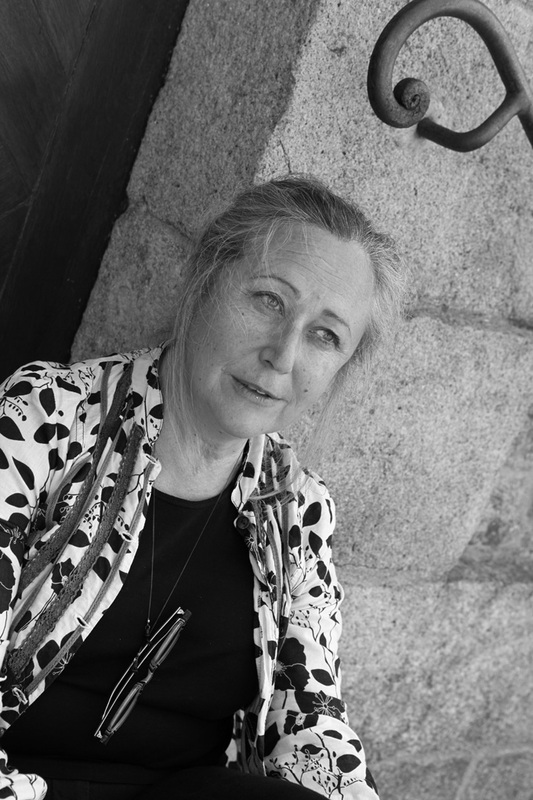 She founded the association « Ethnologues en Herbe » (Ethnokids/ http://www.ethnoclic.net) in 2000. Gathering social anthropologists, artists and multimedia specialists, the association is based in Paris, Marseille and Brussels. It conducts workshops in schools and give trainings for teachers and professionals in the cultural field. It promotes the use the specific method of social anthropology, i.e. ethnographical fieldwork in nowadays environments and cultures, in order for participants to develop a new look on their daily cultural practices and become familiar with the techniques of observation, description and questioning of this social science. The aim of the association is to promote education to cultural diversity and diversity of heritages, foster intercultural dialog and struggle against stereotypes and prejudgments. The association currently conducts workshops in the educational field in France, Belgium and Switzerland and West Africa. It works together with European Social Fund, Ministry of Education, Agence de la Francophonie and numerous foundations. Chantal Deltenre is director of the association since 2000, except between 2004 and 2006 when she joined UNESCO for the preparation of the International Convention for protection and promotion of the diversity of cultural expressions. She is also expert for OIF in the field of digital culture. Before that, she has been working for private television and publishing companies in France and Belgium. She is currently novelist, author for children books and she directs a collection of books about travelling.